“Brother, Help Thyself,” a fund-raising coalition of LGBT groups in the Baltimore-Washington,DC area distributed their annual grants this past weekend, and New Ways Ministry was the grateful recipient of a generous grant of $8,125. 3) a new photocopy machine to replace our cranky 16-year old one. 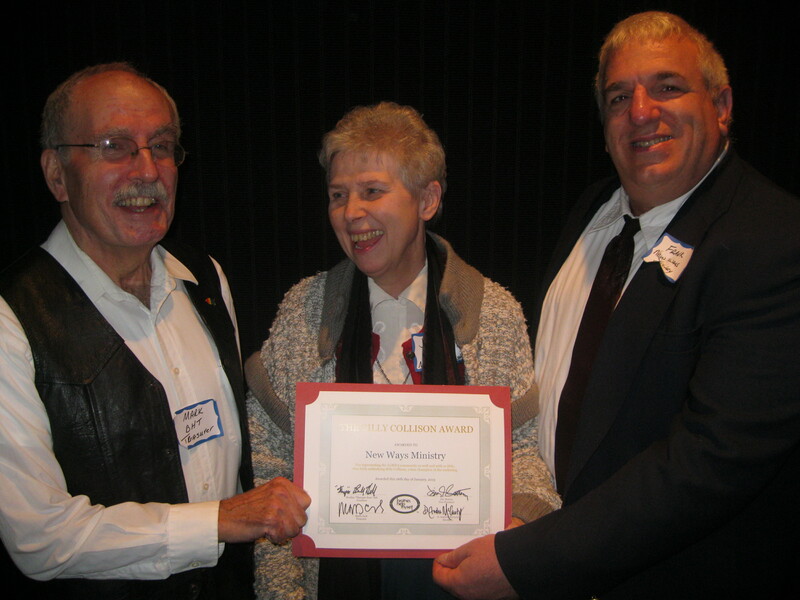 Mark Clark (left) presents the Billy Collison Award to New Ways Ministry’s Sister Jeannine Gramick and Francis DeBernardo. Mark Clark accepting the Anthony J. Bacharach Award. In accepting the award, DeBernardo said he was “dumbfounded, humbled, and honored,” and that New Ways Ministry pledged to keep the spirit of Billy Collison’s altruism for the underdog alive. 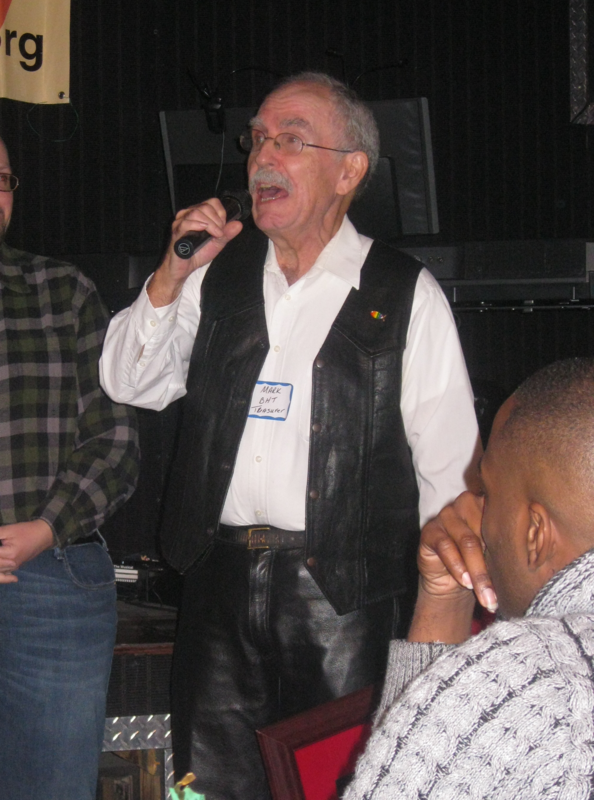 At the close of the day, BHT Treasurer Mark Clark was himself the recipient of the Anthony J. Bacharach Award for distinguished volunteer service to BHT and several other DC-based LGBT organizations, including New Ways Ministry and Dignity. New Ways Ministry is so grateful to the tireless work of the members of Brother, Help Thyself. Their unrelenting generosity is helping so many LGBT organizations in the Baltimore-Washington area. The work they do benefits so many and makes our world a better place. Well deserved because you’ve done well! Congratulations! Congratulations on this well-earned recognition and thanks for all you do. Wonderful – and richly deserved. God bless! Wonderful news about the grant. I spent 25 years in nonprofits and teach master courses in the discipline. I am very impressed that you explained exactly how you will use the funds. This use link to your mission is perfect. I’ll bring this example into class. Congratulations.